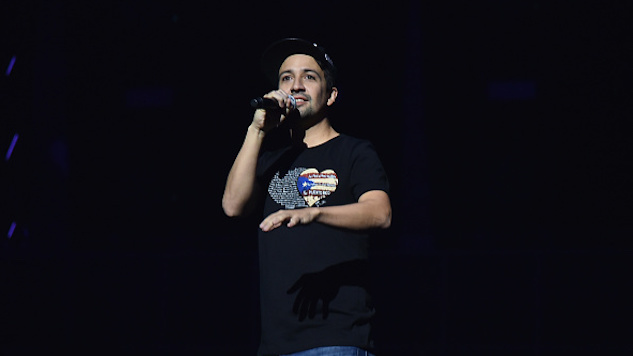 Lin-Manuel Miranda is back at it again, revealing the second part of this month’s song from the Hamildrops series. In case you didn’t know, Hamildrops is a series of content inspired by the Broadway musical Hamilton, promised by Miranda to be released every month of 2018. He began the project in Dec. 2017 with the release of “Ben Franklin’s Song” featuring The Decemberists. Then, earlier this month, Miranda released the single “Wrote My Way Out” featuring Nas, Dave East and Aloe Blacc, a song detailing how the artists overcame their struggles of growing up in New York through their writing. Miranda has taken it upon himself to make Hamildrops an ambitious project. It’s a lot to ask for of the artist following the success of Hamilton, but from the looks of it, the musician is sticking to his word and will continue to release Hamilton content throughout the year. Listen to “Wrote My Way Out (Remix)” below and revisit the last two installments “Wrote My Way Out” and “Ben Franklin’s Song.” Stream or download the remix right here.